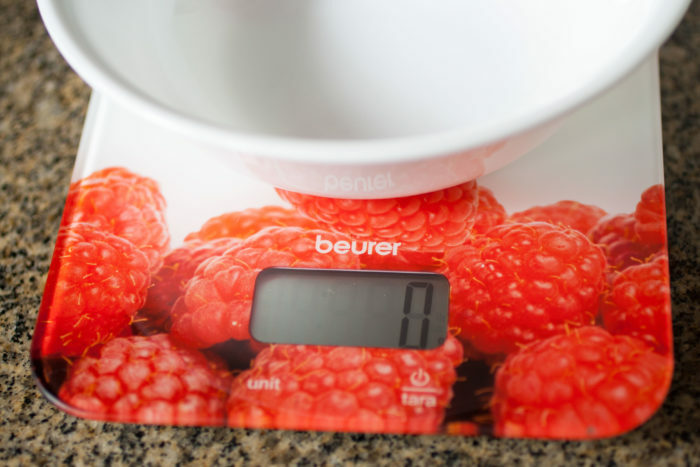 Measuring properly is the key to the success of each recipe. Today we see how to correctly measure all our ingredients. Today’s post is all about cups, grams, and ounces. 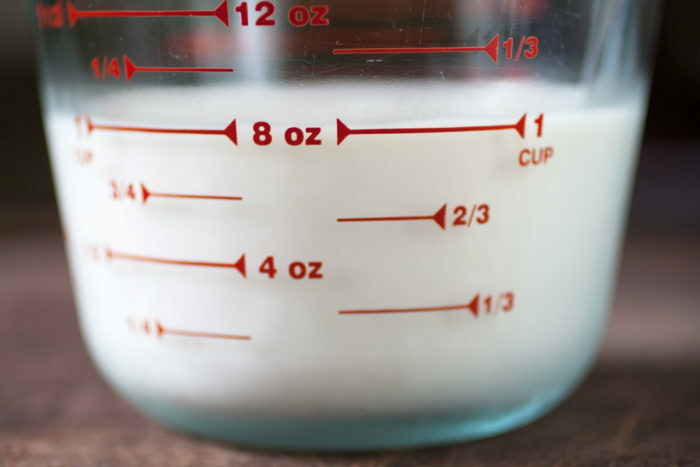 These are some of the most common methods to measure ingredients in the kitchen. 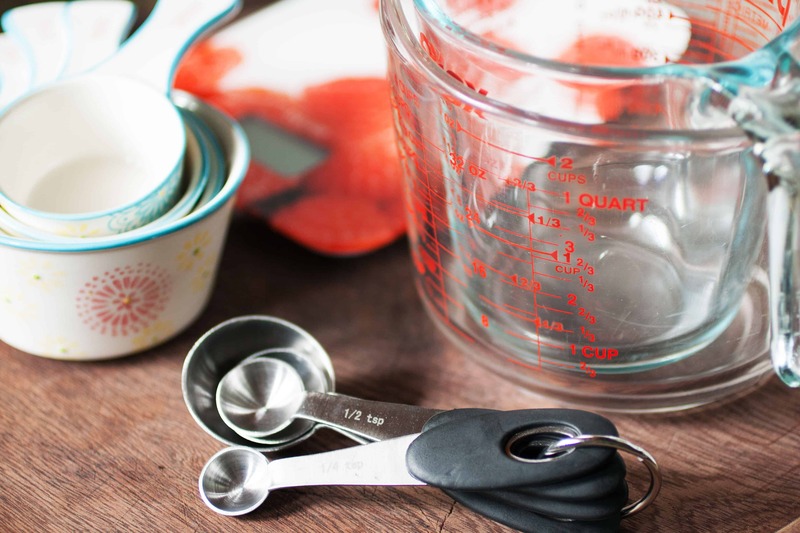 Measuring your ingredients correctly, ensures your baked goods to come out perfect! For example, if you don’t measure well and add too much flour to your cookies, they come out tough and dry when all you want is a nice crispy cookie. Or if you add too much liquid to a cake, it seems that it never finishes baking and you get a heavy or dense cake. Baking is science, and you need to respect the amounts stated in a recipe. Many of the European recipes are written in grams and many of the North American ones are written in cups and spoons. Have you ever gone to a site and seen the measurement for a recipe in grams and just left because you don’t have a way to measure in grams? or in cups if you are use to grams? I’ve done that so many times. I was used to reading recipes using cups and spoons and always ran away from any site using in grams. So today I want to share with you this Kitchen Conversion Chart PDF to make your life in the kitchen a little easier. You can print it and stick it in your refrigerator to use it as a reference every time you are baking. I made this Kitchen Conversion PDF thinking of the most common ingredients I use in this blog. I love having something like this handy. I hope it’s useful for you too. There is a special cup to measure liquids. It is important to put the cup on a flat surface (do not hold it in your hand), then fill the cup up to the line. Lean so that your eye is at the same level as the cup and make sure the liquid is touching the line. If you are measuring honey or molasses, spray the cup with some oil before adding the ingredients. This prevents the honey from sticking onto the cup. 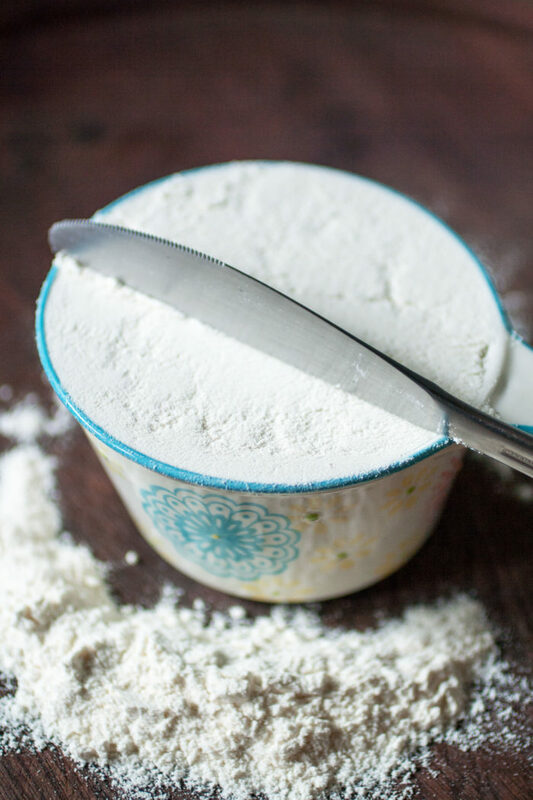 When measuring flour, don’t put the measuring cup inside the flour, instead, add flour to the cup with the help of a spoon. Use the back of the knife or a spatula and level the flour on the edge of the cup. Don’t shake the cup or pack the flour while you fill it since then you will overpack the ingredient. 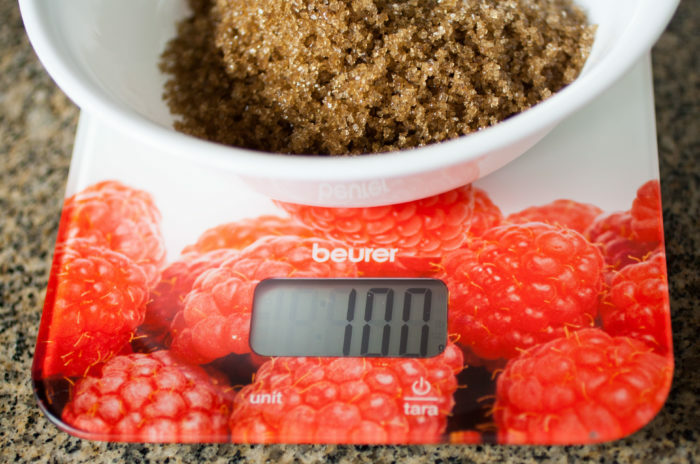 You can follow the same steps for other dry ingredients, with the exception of brown sugar. 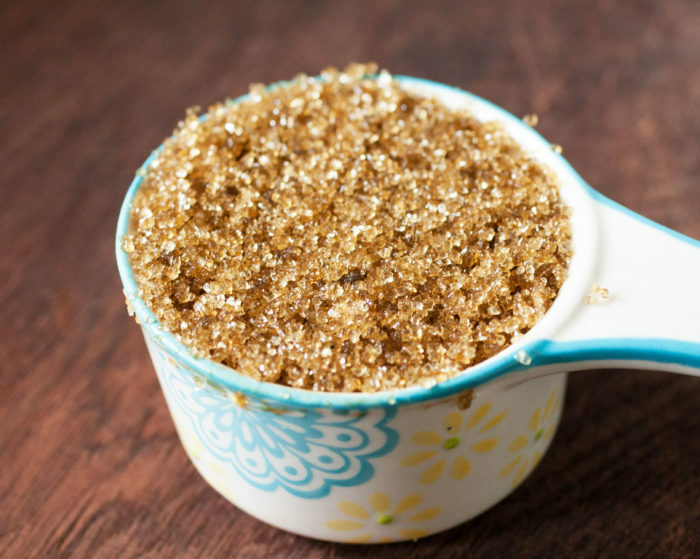 The correct way to measure brown sugar is to pack it or press it with the back of a spoon as you add it to the measuring cup. Having the oven at the correct temperature is very important. If you can get a thermometer to hang inside the oven, buy it! 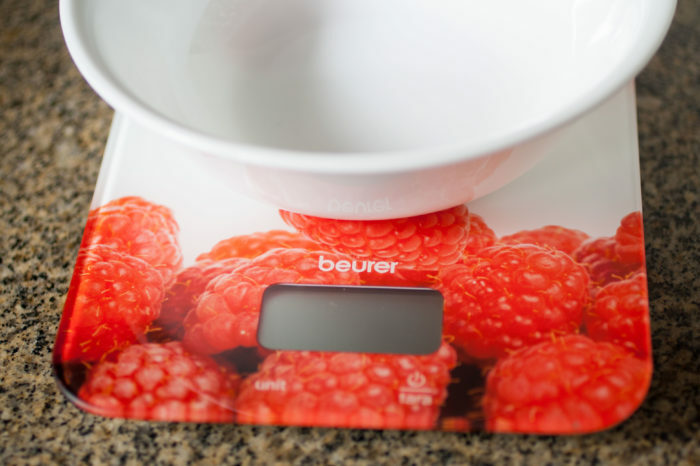 The most accurate way to measure is by using a kitchen scale. There are many different brands and prices in the market and almost all have the option to use ounces or grams. Set the scale on a flat surface. Put a bowl on top and turn it on. From there you can add your ingredients. 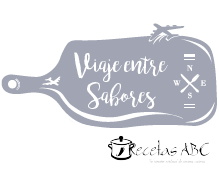 I hope this post helps as you bake and cook delicious food. Don’t forget to download and print this Kitchen Conversion PDF! 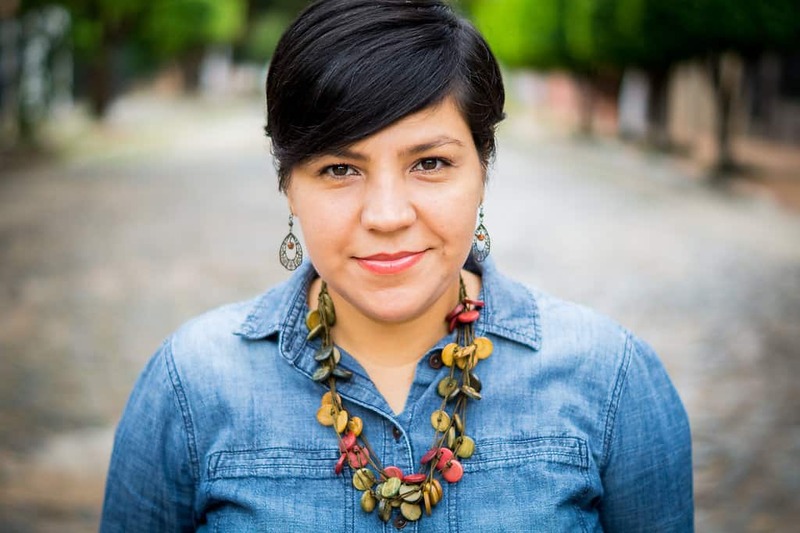 Thank you so much for this resource Lizet! It’s so handy these days, especially since we can access recipes from people across the globe where measurements are in different units! I’m so glad this is helpful for you Shivani! How helpful this item is! 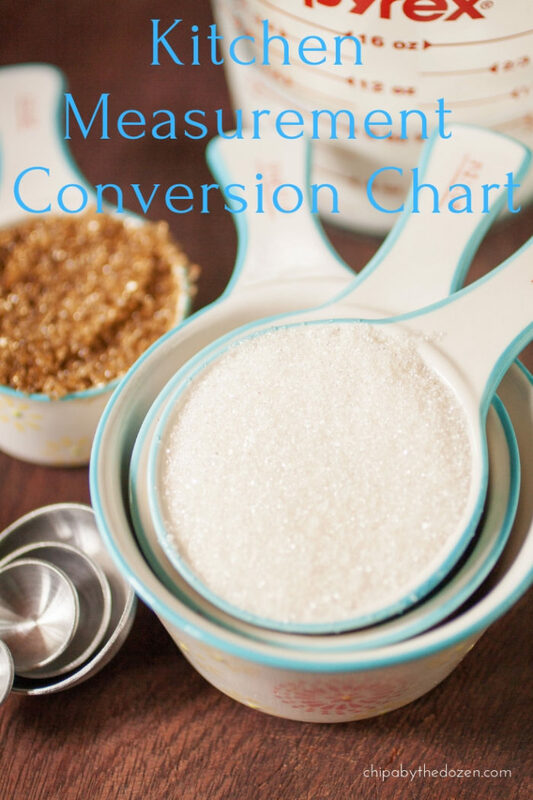 I don’t run from recipes that state measurements in grams or cups but I always need to google their conversions, your chart will come handy, thanks! Yes. When the recipe looks amazing, a little bit more work is worth it. I hope the chart is useful for you. How useful is this!! I need to download this to keep it in my kitchen- so helpful! Thanks! Great! Thanks for coming by! Super helpful! Thanks for sharing. I’ve pinned this so I don’t need to search every time I need to convert measurements. Great information here! The rest of the world really does measuring the correct way! Weight is so much more accurate, compared to volume! Thanks for the handy conversions here, I still have to check every time! Hi Beth. Yes, is so much accurate to weight all the ingredients. And is hard to remember all the conversions. I love having that little chart. This chart would be so useful for me! I love using grams as I know the recipe is accurate but I do sometimes convert recipes from cups too. I think your tips about spooning the flour into the cup and then levelling it off are really helpful. Hi Corina. Thanks for coming by. I’m glad this article is useful for you.